Search For "Shopping & Stores" Companies in Ellsworth, Iowa - Click Here Now! Toy And Gift Store Located In Ellsworth Iowa. 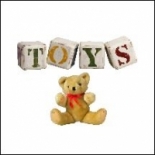 LaVarta's Toy Store in Ellsworth is a company that specializes in Department Stores. Our records show it was established in Iowa.